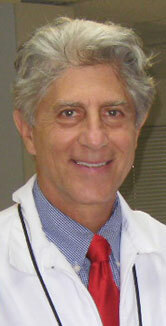 Transcription: Dr. Vinograd: “I have been practicing dentistry for over 30 years. So, 30 years ago, dentistry was practiced quite differently than it is today. Obviously, we were not using gloves, masks, and amalgam mercury fillings were really not something that anybody was really aware of, as far as their lack of biocompatibility and toxicity. And we used to even handle the amalgam with our hands and squeeze the excess mercury into [trash bags], I mean, things that now looking in retrospect were barbaric, but we didn’t have any awareness. In time, I started feeling quite toxic myself, and quite sick. But in time, I found out it really was the mercury toxicity that was really affecting me and when I started researching and beginning to detox, I began immediately to feel quite relieved. Today, I am thankful that I can say what we discovered, the fact that a lot of my burden, and my health burden was due to mercury toxicity."